I use voice assistants more than most people. My parents have made fun of me barking at my phone to do stuff for years, but I actually enjoy chatting it up with Google, Alexa, and their kin. I just wish they were better at talking to each other. CES has made it clear that 2018 will be the year when the voice assistant start to goes beyond phones and smart speakers for techies, and into all sorts of devices and appliances used by average folk. Keeping track of all the new assistant-connected devices in Vegas is overwhelming. Where Alexa was the voice star in 2017 Google’s come out in full force this year. In fact, it’s by far the largest presence the company had at CES in my four years coming to Vegas. There’s a huge outdoor venue to show off its devices, and ‘Hey Google’ ads are plastered everywhere. The company even has employees clad in white outfits stationed at every booth featuring an Assistant enabled-device. Gourmia’s pressure cookers are getting Google Assistant support. I mean, why not? Which is to say, a whole lot of booths. So far, I’ve seen Google Assistant support announced for a myriad of televisions, cars, lights, all of which are cool but somewhat expected. But I’ve also seen it in Pressure Cookers, toasters, and shower heads. The future, everyone. Meanwhile, Samsung demoed Bixby support in its TVs and refrigerators, and intends to roll the feature out to a variety of devices in the next couple of years. And Amazon certainly isn’t resting on its laurels, announcing it’s bringing Alexa to Toyota vehicles, Windows PCs, and an ever-increasing gamut of IoT devices. While part of me is looking forward to the convenience of smarter appliances, another dreads the fragmentation sure to follow. On one hand, I firmly believe in the utility of voice assistants. You really appreciate the hands-free experience when you need to set a timer while juggling two or three pans of burning food, or when you’re too lazy to get out of bed and find the remote. In theory, having more voice-enabled devices should make it more efficient to perform mundane tasks at home. On the other hand, there are just too many of them. 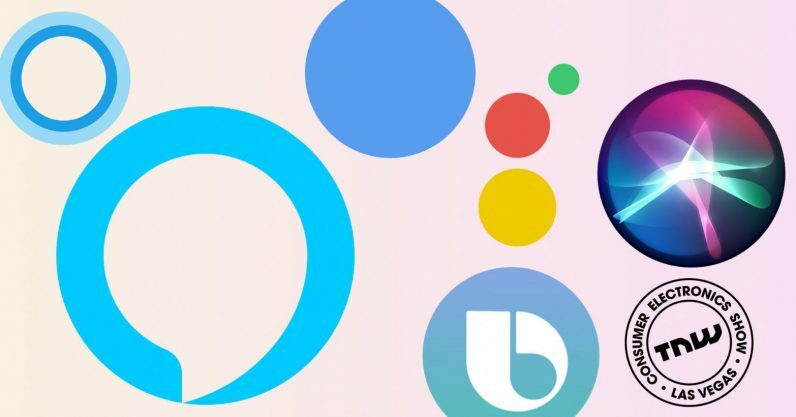 At home, I have Google Assistant, Alexa, Bixby, Cortana, and Siri strewn across a variety of devices – and they don’t really get along. While I gravitate to Google, I’ll often have to call on Alexa or one of the others. It’s a small thing now, but I suspect my vexation will grow proportionally with the number of voice-enabled devices in the years to come. Even if I try my darndest to stick to one ecosystem, chances are I’m going to run into issues. I might have a Google Home, Pixel phone, and Android TV, but what am I supposed to do with the Alexa-powered cheese grater I get for Christmas? Use my hands? How 2017. So before fragmentation reaches unbearable levels, I hope voice assistants learn to communicate with each other. I mean, aren’t Alexa and Siri supposed to work at least a bit like human assistants? If I could pay a couple of personal employees, I’d be able to say stuff like “Hey Claire, tell Frank to fetch me some empanadas while he’s out.” Yet for all its smarts, I can’t tell Alexa to ask Siri to play my iTunes movies. There is still a glimmer of hope though: Jeff Bezos and Satya Nadella seem to agree with me. Last Summer, Microsoft and Amazon announced a partnership that would allow you to summon Alexa from Cortana and vice versa. The feature has yet to roll out, but it’s at least a step towards a future where voice assistants would be able to share data with one another. Granted, it was a mutually beneficial deal for Microsoft and Amazon. By letting Cortana summon Alexa, Microsoft would gain the thousands of integrations. And with the help of Cortana, Amazon builds on Alexa’s weaker areas like Outlook integration while staving off Google’s increasing competition. Nonetheless, both Bezos and Nadella suggested they’d be open to working with Apple and Google on a similar partnership, according to interviews with the New York Times. It seems unlikely Google and especially Apple would want to given their mobile dominance, but Nadella said he hoped they’d “be inspired” by Amazon and Microsoft’s partnership. I inclined to agree. It’s just unfortunate that right now, assistants are smart enough to interact with so many mundane devices, yet are incapable of basic communication with each other. For more CES 2018 news, check out our page page here, and follow us on Facebook, Twitter, and Instagram.